Thoughts about Rosé. 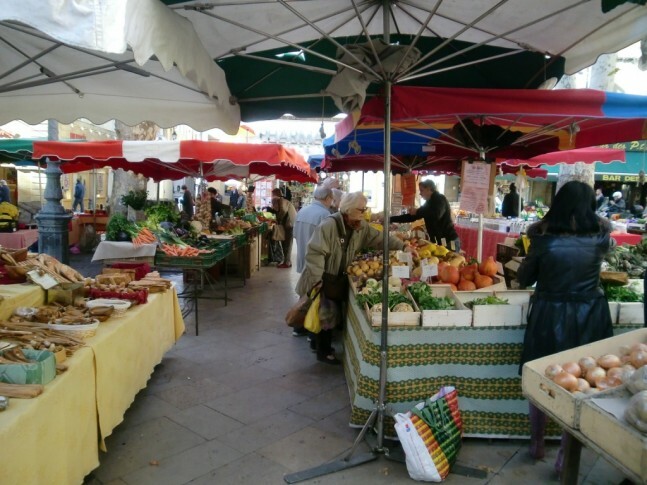 An introduction to Provence. Part 1 of the series. The south of France holds many surprises. Firstly, I must confess that I was a rosé skeptic. Throughout my nine years of wine tasting, I admit that I never considered rosé to be a wine style that should be taken seriously. In my view, rosé was meant to be a red wine but was created to have an early-release product in order to generate more revenue for the producer. In my life, there was only one rosé which I have drunk that I really liked. It is the Lillypilly Red Velvet from the Riverina region of New South Wales, Australia where 12 different grapes are used to create the blend. Still, the style of the Lillipilly is a somewhat deeply-coloured and extracted style that comes slightly close to a red wine. I found that my favourite rosés were all highly-extracted, deeply-coloured because they contained the most forcefulness on the nose and definition of fruit compared to the light-coloured rosé styles which were simply boring and quite frankly tasteless. With this line of reasoning, I felt that good rosés were basically unfinished red wine and not a complete product. Today, I am a changed man. Now, I am preaching a different message. After much reflection, I must retract my initial sentiments about rosé. I have now been convinced that Rosé wines deserve to be not only called a complete wine but a wine of its own class. It is a wine that needs to be served at the right temperature, chilled at 10 to 13 degrees. It is a wine that can go with a great range of food, especially Asian food. In Provence, I had rosés with turbot, with prawn bisque, with a whole garlic clove, with pickles, with oysters, with hard-boiled eggs and they all work amazingly well. Considering the climate and amount of sunshine that one receives in Provence, rosé wines fit perfectly in this setting. It is a summer wine. This is why I also believe that there is a place for rosé wines in countries near the equator like Singapore. The herbs used for cooking in Asia are also quite similar in flavours to that of Southern France. 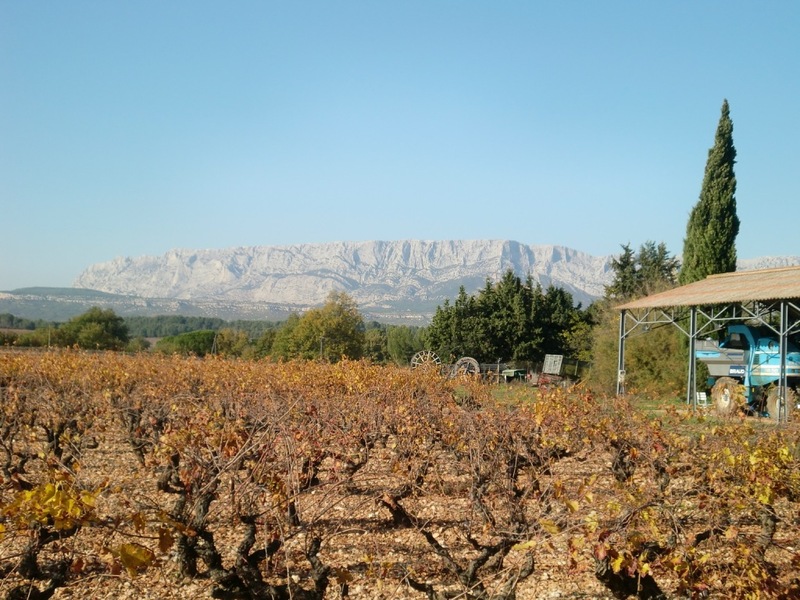 According to my guide, Gaëtane Thurot, who runs Provence Wine Tours, whom I shall speak of more in my next article, loves her Provincial Rosés with seafood, salmon, sushi and the spicy fruit from North Africa. Most importantly to me, it is a wine which is harder to make than both a white and a red wine. It requires a winemaker with lots of skill and finesse to capture the essence of a fine rosé. In the Côte de Provence, there is a private competition between winemakers as to who can make the lightest-coloured rosé with lots of flavor. 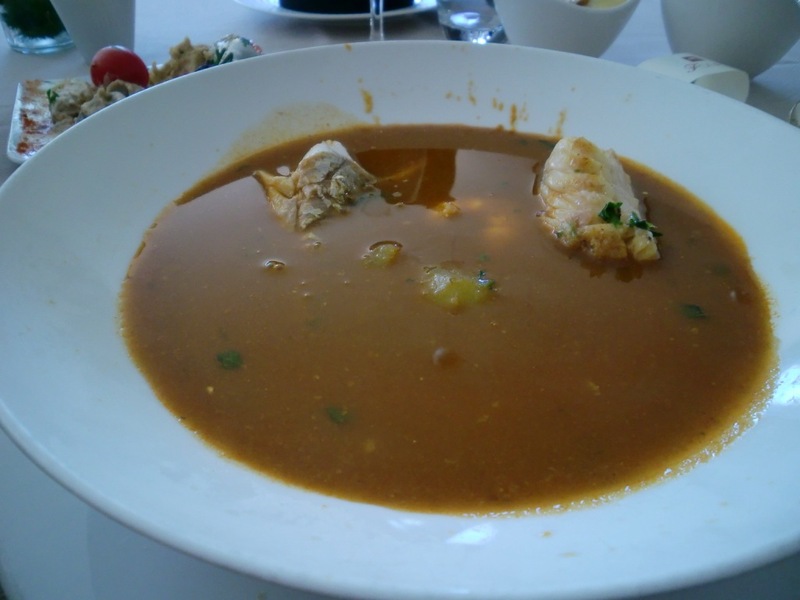 The famous bouillabaisse of Marseille that is excellent with cassis wines . There are three ways to make rosé. The blending method is one of them but it is forbidden here in France except for Champagne. The next method is called the saignée method or bleeding off. Here, the juice of the red grapes is left with the skins for 24-48 hours before part of the juice is being drained off into another vessel to finish the ferment such as the wines of Tavel. This is where the extraction of flavours and colour comes from – the skins of the grape. The third method is the one which all the wineries I have visited from Luberon to Provence use – the pressing method. With this method, the red grapes are lightly pressed to extract the colour. The final product is a lightly-coloured, light grapefruit-pinkish tinge to the wine. The difference between saignée and pressing methods are quite distinct by looking at the colour of the wine. Also, in terms of texture and structure of the wine, saignée has more tannins but the pressing method is more elegant, cleaner and lighter on the palate. Usually, with the pressing method, there is a tendency to be less fruit and higher acid as the skin contact is less. This is the reason why I find great rosé wines so difficult to produce. The flavours of the red wines come from the skin of the red grapes. The challenge comes from extraction of flavours versus deeper-coloured wines. To find the balance between acid, colour and flavour using only the pressing method comes with a deep understanding of you grapes, your blends and the amount of pressure best used to press the grapes. Achieving this with the pressing method is harder than saignée as there is less contact between skin and juice. Some of the best rosés in Provence are totally out-of-this-world. Balanced, fine in the mouth, lightly textured like silk and yet offering a lot of flavours on the palate. The acid refreshes your mouth and the finish is long and powerful. Moreover, I find Cinsault, Syrah, Grenache and Mouvèdre to be very excellent grape varieties for making rosés. Most of my favourite rosés are made from them. The quality produced from these grapes to create rosé is much more balanced than using mono-varietal grapes. After my time in Provence, I am convinced that to create a complex rosé, it will have to be a blend of different grapes just like my Lillypilly. 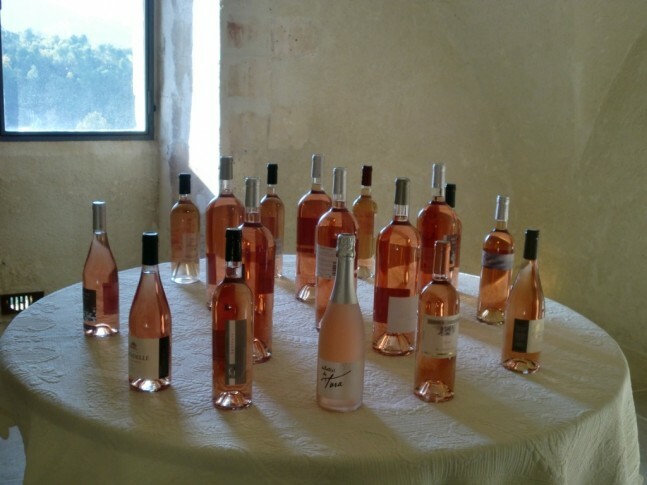 It is part of the AOC law that all rosés in Provence are blended with at least two of the listed principal grape varieties. The rosés today from Provence are of such high quality that they are even aged in oak barrels today – sometimes new barrels. To be honest, I am adverse to the idea of rosé and oak as it is already such a delicate wine, extracting such light aromas from the skins that oak can overpower it. However, if done correctly, the results are incredible and I have tasted an example of this from Mas de Cadenet in Saint-Victoire. In my opinion, Mas de Cadenet produces a very well-priced and balanced oaked rosé compared to some wineries I know that would hype up the oaked rosé as a luxury product. Mas de Cadenet has proved to me that this style of rosé can be both balanced and affordable at the same time. A question that I was searching answers for in Provence was “Can rosé be aged?” My answer is yes and Domaine de Terre Brune in Bandol has proven that to me. These wineries will be written about in my subsequent writings about Provence. There is also more to Provence than rosé. There are the full-bodied, rustic red wines of Bandol that goes well with Daube Provincial (braised meat in Provence herb stew with red wine in it); the ripe, fruity and alcoholic style red wines of Coteaux d’Aix-en-Provence and Les Baux; the mineral, fresh whites of Cassis that goes so well with seafood dishes like the famous bouillabaisse in Marseille but ultimately, it is still rosé country where the rosés from Côtes de Provence are lean and light while the more mineral styles are from Saint-Victoire. This too is dependent on the blend of grapes used. After this profound experience in Provence, I strongly believe that rosé needs to see more spotlight in Asia where the versatility of this class of wine fits perfectly in a country like Singapore. I re-iterate again that rosé is a summer wine and every day in Singapore is like summer. If you have been disappointed with the rosés bought from your local supermarkets, my advice to you is go to Provence, drink it at the right temperature and have it with a local Provincial cuisine. You will become a believer, just like I am now.